Building wealth requires you ignore the negativity and focus on the right things. You've likely heard this before. The state and quality of your life is a direct reflection of the habits you employ daily. What defines us, at the end of the day, are our thoughts, emotions and our resultant behaviors. But the truth is that much of that is born from our habits and our daily routines. If you want to get rich and experience sheer abundance in every area of your life, you need to employ the right success habits to get you there. Recently, I finished reading a book by New York Times best-selling author, Dean Graziosi called, Millionaire Success Habits. It really got me thinking about habits in a non-traditional sense. Usually, when you read a list of habits that are consistently employed by the 1 percent who've attained unfathomable riches in life, you often read a list of things that they do rather than what they don't do. However, nine times out of 10, the path to getting rich is more about not doing something rather than doing it. This contrarian rule of thought has led many into the so-called promise land of financial abundance and monetary riches. We're talking about multi-millionaires and billionaires here, most of whom didn't start with any advantages in life. The one advantage that they wielded and employed was the sheer ability to recognize the right success habits that would help them eventually get rich over time, while avoiding those that wouldn't serve them. I'll explain, but first, let me back up. One often-referenced study suggests that habits comprise 45 percent of our daily behavior. Some experts, like John Assaraf, argue that this number is considerably higher -- in the 70-90 percent range. However, either way you look at it, the habits we employ comprise a large part of our lives. We have habits for everything in life. Relationships habits, spending habits, saving habits, career habits, time management habits, socializing habits and so on. Considering that these habits effectively control the outcome of our lives, focusing on the right habits is monumentally important. However, most of us don't focus on the right habits. In fact, our lives are filled with bad habits that we seemingly can't quit. Habits have been the focus of studies on rich and successful people for ages. But as much as it's been studied, most of us lack the wherewithal to control our habits. We're victims to bad habits rather than being the champions of good habits. We get discouraged by failure when we can't instantly achieve something and we fall back into our old, detrimental routines and we merely feel stuck and unable to overcome our supposed circumstances. How to get "filthy" rich in life. According to the Washington Center for Equitable Growth, from 1980 to 2014, 36 percent of income growth went to the top 1 percent of income earners while none of it went to the bottom 50 percent and 32 percent of it went to the middle class. Clearly, as this gap between the haves and the have-nots increases, most are left scratching their heads on how not only to get ahead in life, but also how to get exorbitantly rich while also avoiding fiscal collapse. So how do we buck this trend? How much do these macro-economic factors play a role in our ability to attain real wealth? 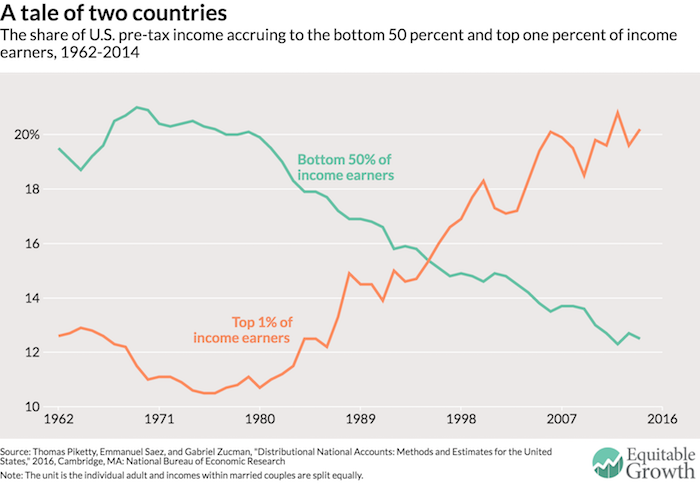 Will the rich keep getting richer or does the rest of the world stand a chance? It's sufficient to argue that the answers extend beyond mere policy improvements. Considering that many rags-to-riches stories have been a cornerstone in our culture for generations now, there is real power in the employment of the right success habits. But if you're serious about getting filthy rich, you mustn't take the wrong approach. You have to be a steward of your thoughts by creating the right habits that are going to serve you while also working to quit the bad habits that are holding you back. In a book called, The Power of Habit by, Charles Duhigg, he argues that the answer to real progress is to focus on something called keystone habits. In architecture, a keystone is a stone that holds the others in place but bears the least weight. The truth is that keystone habits are not difficult to create and if you focus on them, all other habits will fall into place while the bad habits will fall to the wayside. It's like focusing on working out for at least 30 minutes per day. When you work out daily and it's a habit, you naturally eat less junk food, drink more water, avoid cigarettes and you tend to take vitamins. That's because working out is a keystone habit. Naturally, there are keystone habits for getting rich. For example, if you track all of your expenses down to the very last red cent spent every single day, you're more aware of where your money is going. Because of that, you spend more wisely, tend to save more money and look for ways you can increase your income while also ensuring that you're investing wisely over the years. That's because tracking your expenses is a keystone habit. Rather than looking forward, trying to set goals through the lens of your current hectic situations in life, pretend like it's one year from now and you are actually looking backwards at the best year of your financial life. Live in that feeling, see all that you desire as it's already happened and write down exactly what you see. Envision it. Live it. Almost breathe it as if it's already come to pass. There is sheer power in our thoughts. And by looking forward, we're merely hoping for a particular outcome. However, by looking back, we can paint a true picture of what our lives look like once we already achieved our financial goals. What does your life like a year from now? How about two or three years from now? What about five or ten years from now? What did you achieve? How much money are you making? What type of car are you driving? How about your house, your job, your relationship or your family? Do you have children? Do you own your own company? Write it all down because that's how you create your vision. Graziosi, who's generated hundreds of millions of dollars with his brands, companies and investments, with a 15-year television career, argues that creating a true vision for your future by looking backwards will get you exponentially better results than setting goals in the traditional sense. If you're serious about getting rich, then you have to look backwards, not forward. 2. Don't avoid your expenses. People who find themselves in a spending frenzy have difficulty getting ahead in life, let alone getting rich. When your expenses outpace your income, it's actually impossible to get rich. Even if you're already rich, it's important to pay homage to the money going out the door. It's easy to underestimate your expenses when you're not tracking them. You can overlook those bank charges, ATM fees, late charges and even the daily latte when you fail to track your expenses. Instead of spending, focus on saving. If you're in over your head and overspending yourself into a frenzy, then you need to handle that if you're serious about making any financial progress. It's not about saving yourself to millionaire status; it's about having moment-of-the-opportunity cash, as Mark Cuban calls it, to invest in your dreams or avoid a temporary crisis like a job loss or other major unexpected expenses. 3. Don't create a to-do list. Rather than create a to-do list, create a list of things NOT to do. In Millionaire Success Habits, Graziosi argues makes a convincing argument that your not-to-do list is far more important than your to-do list. In a society filled with distractions, we get filled with so many things that don't serve us in getting richer, being happier, aligning with our higher power or spending quality time with family and working to improve our lives. These things need to be identified and eliminated, leaving time for the things that can propel your life to the level you desire. Thus, your job, is to work to avoid and cancel out each of these things on your not-to-do list. The truth is that we all tend to waste time, but we all have the same 24 hours in a given day. When you can figure out where you're wasting your time, you can work to cut those things out. When it comes to managing your time, this invokes Stephen R. Covey's quadrant time management system that involves splitting your time into four separate quadrants. Each quadrant is a metric based on some combination (or lack thereof) of importance and urgency. Things are either both important and urgent, neither, or one or the other. When you audit your time, and you see where the balance of it is going, you can determine what you shouldn't be doing. Considering that we all have the same amount of time in life whether we're rich, poor, or somewhere in between, yet we tend to state that we never have enough of it, understanding what not to do is just as important as looking at what we should do. Take a week to audit the time that you're spending every day. Figure out what not to do that you're doing fairly often. Are you spending too much of your time mindlessly surfing the internet, binge-watching television series, over-socializing with friends, and so on? Become a steward of your time if you're serious about getting rich. Then, focus solely on things that will move you towards your-long term visions. 4. Don't work on weaknesses. Each one of us has things that we're good at and that we're not good at. Growing up, we're taught to improve on our weaknesses. We're taught to get better in areas that we might not already be excelling in. But the secret to getting rich isn't to work on your weaknesses; it's to further improve your strengths. Society has a way of telling us to improve what we're not good at, stating that it's the pathway to success. Well it's not. Work on your strengths, not your weaknesses. You can turn just about any side hustle into a multi-million-dollar business. It doesn't matter what it is, the more passionate you are about it, the more likely you'll be to get rich doing it. If you want to overcome the fear of starting your own business, work on your D.O.S. conversation. It stands for dangers, opportunities and strengths, an exercise originally derived from Dan Sullivan. Split a paper into three equal areas by drawing two separate lines down the middle, write your financial goal at the top, and create three separate lists about the dangers (or fears) of starting your own business, the opportunities of doing it, and specifically what your strengths are. In a recent study done by Joseph Rosenberg for the non-partisan, Tax Policy Center, it was determined that the top one percent and the top 0.1 percent get a majority of their income from businesses they own and investments rather than a monthly paycheck. Those businesses are built on the back of our strengths, not our weaknesses. 5. Don't ignore your thoughts. There is sheer power in our thoughts. An abundance mindset can easily create an abundant life as long as those are the thoughts that are held highly in your mind. This isn't just a new-age argument. In fact, this extends back to the beginnings of written culture where the thoughts have often been a topic of discussion, and how to specifically use your thoughts to propel yourself forward rather than be left behind. Norman Vincent Peale once said, "Change your thoughts and you can change the world." Alexander Graham Bell said to "Concentrate all your thoughts upon the work at hand. The sun's rays do not burn until brought to a focus." But the truth is that most of us are filled with negative, doubtful thoughts rather than thoughts about abundance. The rich keep getting richer because they hold thoughts of abundance in their minds. They chase out negative, scarcity-minded thoughts. If you're serious about attaining real wealth, be sure to pay careful attention to the thoughts you have on a daily basis. Create mantras and incantations that you can say to help overcome any present-day limitation you think you might have. Real wealth doesn't come by cutting corners; it can only occur when you go above and beyond the so-called call of duty. You have to add real value to the world if you're serious about getting rich. You can't expect to do the least amount of work for the greatest initial return. It simply doesn't work that way. But too often, people think that it's the acceptable path to follow. If you cut corners, take shortcuts and simply lack the enthusiasm for whatever job you might be doing, you can't expect much back. You're doing yourself a disservice and everyone else around you when you do that. Instead, do the most amount of work for the least initial return. Add real value to the world if you want to move forward. This is true even if you work a menial job. Regardless of what you do, do it to the best of your ability. Tremendous things occur when you do this. Focus on the task at hand, whatever it is, and go all out. That's when the real magic happens. 7. Don't take advice from unsuccessful people. Growing up, we're told to get good grades so that we can get into a good college and eventually secure a well-paying job in the future. This is the conformist mentality. In fact, most of the world's richest people didn't even get a college education. However, growing up, we often receive advice from people who haven't achieve much, telling us what we need to do to succeed. Whether it's a parent telling you, a teacher, an uncle, a cousin, or someone else, don't follow advice from unsuccessful people. Has the person giving you advice been successful at what they do? Or, have they failed and live paycheck-to-paycheck? Success habits of multi-millionaires and billionaires are formed not through conforming to societal norms, but by bucking the trends. Seek out a mentor who's already achieved what you're looking to achieve, and get advice from them. Not someone who's given up on their hopes and their dreams. Rich people get rich by having rich mentors who are winning on the highest level. Plain and simple. 8. Don't focus on the wrong things. When you're learning how to drive a race car, or navigate in white-water rafting, you're taught not to focus on the wrong things. If you focus on the wall or a rock, you're going to smash into it. Instead, focus on the path. That way, you want crash and burn. But, too often, we focus on the wrong things; we focus on what we don't want rather than what we do want. We focus on debt, bankruptcy and financial ruin. We employ a scarcity mindset throughout all the things that we do. The media feeds on this frenzy of fear and negativity because it brings in traffic and advertising dollars. But that's not how you get rich in life. To get rich, focus on the right things. Ignore the negativity. Ignore the hate. Ignore the people talking behind your back because they will always talk. Focus on your goals. Chase what's important, leverage the 80/20 rule, wake up early and tackle your most-important tasks of the day. And be consistent. That's how you make real progress in life. That's how you create sheer abundance and wealth over time. It doesn’t happen overnight. But nothing worthwhile ever does.